Having a pet is like having another member of the family, which means they deserve only the best. It’s not always easy caring for an animal, but folks in Alabama have the support of some amazing pet stores to help guide the way. From health-minded food options to toys of all varieties, these great stores will always put your pet first. Here are our favorites. 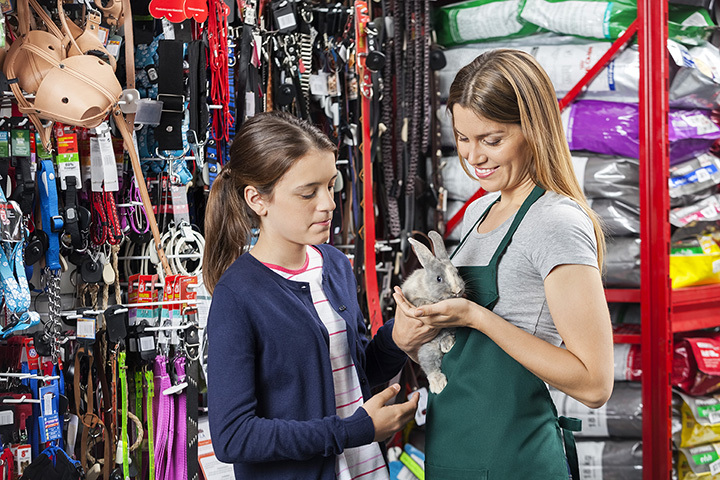 From reptiles to rodents to the feathered variety, you can find your new companion and pick up everything you need to care for them in a single stop. The staff here is passionate about every animal in their care, and it shows in the time spent with each customer on helping them choose the best pet for their needs. They’ve also got the best groomers in the area, and their customers say they’ll never go anywhere else. This is your one-stop shop for all things pet—including the pet! They have the largest selection of birds, fish, and small mammals in the area, as well as freshwater and saltwater fish. You can find your new furever friend here, or simply grab the food, cages, beds, and other supplies you need to keep your pet happy and healthy. It’s like Whole Foods for canines. Bring your pooch with you while you shop for all-natural treats and chews your dog will swear were made by a gourmet doggie chef. Having originated in Georgia, Homewood is the site for Alabama’s only location of this five-store company. If you can’t make it to the store, grab your dog some of their treats online. Don’t let the name fool you—they’ve got much more to offer than pet food here. However, you will find the biggest selection of pet food for dogs, cats, and other animals. They’ve got all the toys and supplies your pet needs to stay happy, plus their local delivery service is sure to make you happy, too. Their focus is on holistic health for your pet, and every product they sell reflects this philosophy. Their fans love them because if they don’t have something you need, they go out of their way to order it for you quickly, and for a great price. If your pet has a special diet, you’ll find plenty of better food choices here. Part pet supply store, part self-serve dog wash station, your furry friends are sure to have a great experience here. Bring them in for a bath, then let them help you pick out food, toys, and other goodies. They also offer a local delivery service to save you time and keep your pets happy. This place isn’t your average pet store. They cater to nearly all four-legged, two-legged, and no-legged animals with a huge selection of food, toys, feeding tools, habitats, and other items to make your pets and farm animals comfortable. They love their local livestock population, offering plenty for goats, pigs, horses, cattle, sheep, and, chickens. If you have exotic pets, you’ll never need to go anywhere else for your supplies. This upscale pet boutique is a feline and canine’s dream come true. From bowls and beds to grooming supplies, food, and toys, you’ll never have to travel anywhere else for your pet’s needs. Their service makes it clear that that folks here love pets just as much as they do people. Part pet store, part grooming center, and part pet hotel, this place may well become your pet’s new favorite destination. They cater to dogs, cats, birds, and small animals with a full suite of supplies all under one roof. The team here goes out of their way to treat every pet as if it were their own, and that commitment reflects in every visit. This locally owned pet store is the largest of its kind in the area. They’re passionate about exotic animals, birds, and small animals of all sorts—emus, tortoises, and sugar gliders have been known to make appearances in their store. Even if you don’t have pets, you’ll want to stop by to see their alligator friends at the Gator Lagoon!